The structure is similar to how the Marine Corps is housed under the Navy. The Pentagon has decided to house President Donald Trump's "Space Force" under the Department of the Air Force, according to a U.S. official with knowledge of a draft legislative proposal for the nation's newest military service. The proposal calls for the creation of the new service within the the Air Force, in a manner similar to how the Marine Corps is part of the Department of the Navy. The Space Force would be led by a chief of staff who would also serve on the Joint Chiefs of Staff along with representatives from the Army, Navy, Air Force, Marine Corps and the National Guard, the official said. It's a victory for the Air Force which has sought to keep control of the U.S. military's space assets and currently manages a three-star Space Command that is headquartered at Peterson Air Force Base in Colorado and is responsible for 30,000 personnel worldwide. The decision was first reported by Defense News. The proposal, which has the support of the Pentagon's senior leadership, could be submitted to the Office of Management and Budget for inclusion in the Department of Defense budget as soon as this week, the official said. (The Washington Post/Getty Images, FILE) President Donald Trump speaks before signing a Space Policy Directive during a National Space Council meeting in the East Room at the White House on June 18, 2018, in Washington. Ultimately, the service's establishment will require legislation from a Congress which has been divided over how the military might restructure to counter threats from China and Russia in space. The incoming chairman of the House Armed Services Committee, Rep. Adam Smith, D-Washington, has already expressed his opposition to the creation of a separate service because of its cost. The Air Force has estimated that a Space Force could cost as much as $13 billion over the first five years. But Deputy Secretary of Defense Patrick Shanahan, who has led the Pentagon's effort to realize the establishment of a Space Force, has said it could be less than $5 billion. An Air Force spokesperson referred questions about the draft proposal to Shanahan's office. “In concert with White House guidance, we are moving forward with a legislative proposal for Space Force,” Lt. Col. Joe Buccino, a spokesman for Shanahan, told ABC News. The decision to house the Space Force within the Air Force runs counter to what Trump has expressly outlined. 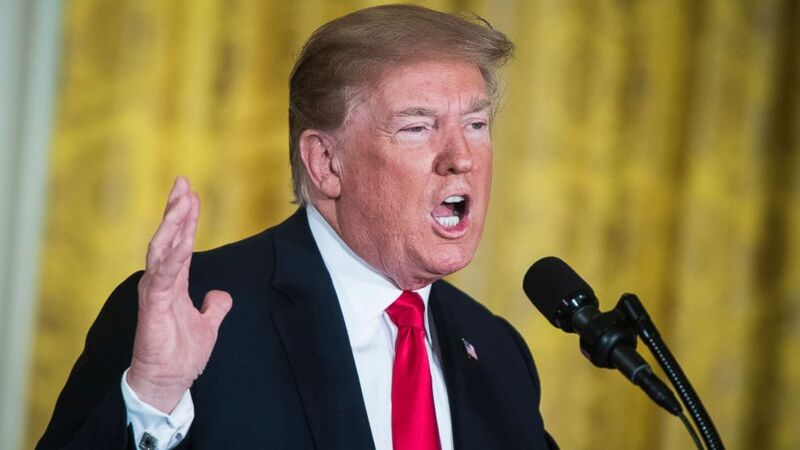 "We are going to have the Air Force, and we are going to have the Space Force -- separate but equal," the president said in June. Earlier this week, Vice President Mike Pence announced that Trump would soon sign a new "space policy directive" to create the sixth branch of the armed forces that the administration hopes to stand up before the end of 2020. He held a meeting with Defense Secretary James Mattis at the Pentagon on Wednesday to discuss U.S. space operations. 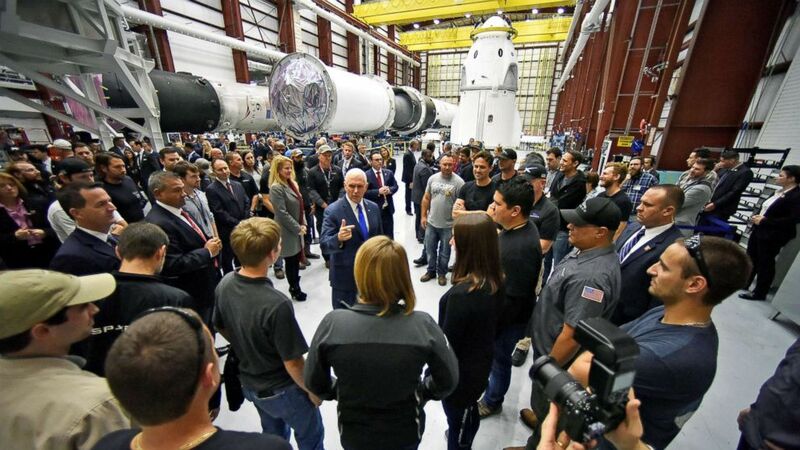 (Steve Nesius/Reuters) Vice President Mike Pence talks with SpaceX employees during a tour of the SpaceX hangar at Launch Complex 39-A, where the Dragon crew module and Falcon 9 booster rocket are being prepared for a January 2019 launch at Cape Canaveral, Fla., Dec. 18, 2018. On Tuesday, Trump signed a memorandum establishing U.S. Space Command as the military's 11th unified combatant command. Distinct from a Space Force and the existing Air Force Space Command, the combatant command will change how the Department of Defense approaches war-fighting in space by centralizing its space operations from across the U.S. military into one place. A Space Force service, on the other hand, would likely focus on the recruiting, training and equipping of service members for the space mission. Like the military's other combatant commands, the new Space Command -- which was announced by the administration earlier this year -- will be led by a four-star general and draw on capabilities and personnel from the Air Force, Army, Marine Corps, and Navy. Tuesday's memorandum directed Mattis to recommend officers for nomination and Senate confirmation to serve as the commander and deputy commander. Unlike the creation of a Space Force military service, the establishment of Space Command won't require Congressional legislation.